Reps. John Yarmuth is a cosponsor of the Clean Water Protection Act, but the other five Kentucky members of the U.S. House are not. Contact your representative to either thank him for cosponsoring the bill or ask him to do so. You can also call the Capitol switchboard at 202-224-3121 and ask for your House representative. Across eastern Kentucky, more than 1,400 miles of streams have been buried and destroyed by mountaintop removal coal mining, and at least 2,000 miles across Central Appalachian. The Clean Water Protection Act is necessary to protect clean drinking water for many of our nation's downstream towns and cities. This act is also necessary to protect the quality of life for Appalachian residents who face frequent catastrophic flooding and pollution or loss of drinking water as a result of mountaintop removal. What is the Clean Water Protection Act? The Clean Water Protection Act (H.R. 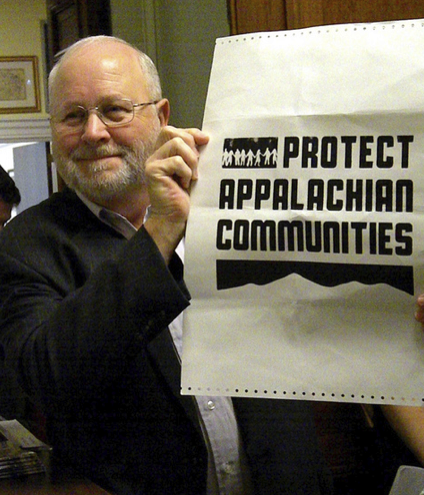 1837) is a bill in the U.S. House of Representatives intended to improve the lives of those living in Appalachia and protect our nation's waterways by placing stronger limits on mountaintop removal mining. The bill would amend the Clean Water Act to redefine “fill material” so that it cannot be composed of mining waste. When the Clean Water Act was passed in 1977, it allowed for fill material to be dumped into U.S. waters as long as it was not intended for waste disposal, which prevented coal companies from using waterways as such. However, in 2002, the Bush administration allowed the Army Corps of Engineers to change the definition of fill material to include mining waste – a change that was not approved by Congress. This has allowed coal companies to pursue mountaintop removal more rapidly with less regard for its negative impact on Appalachian communities. The Clean Water Protection Act was first introduced in the House in May 2002. That Congressional session started with two cosponsors and ended with 37 sponsors. In 2009 during the 111th Congressional session, three congressmen – including John Yarmuth – introduced H.R. 1310, which began with 117 cosponsors and ended with 124 sponsors. 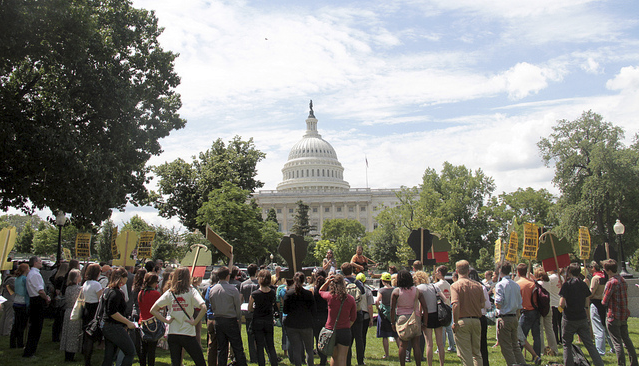 KFTC and allies have hosted multiple call-in days to encourage representatives to cosponsor the bill. Additionally, there has been an annual Week in Washington lobbying effort that brings together residents from Appalachia and all across the country to confront Congress about this issue. During 2012's Week in Washington, six Kentuckians and a filmmaker from Virginia were arrested for occupying Rep. Hal Rogers' office in an attempt to meet with him and urge him to support the Clean Water Protection Act. In total, 22 citizens from West Virginia, Virginia, Tennessee and Kentucky were arrested in congressional offices.